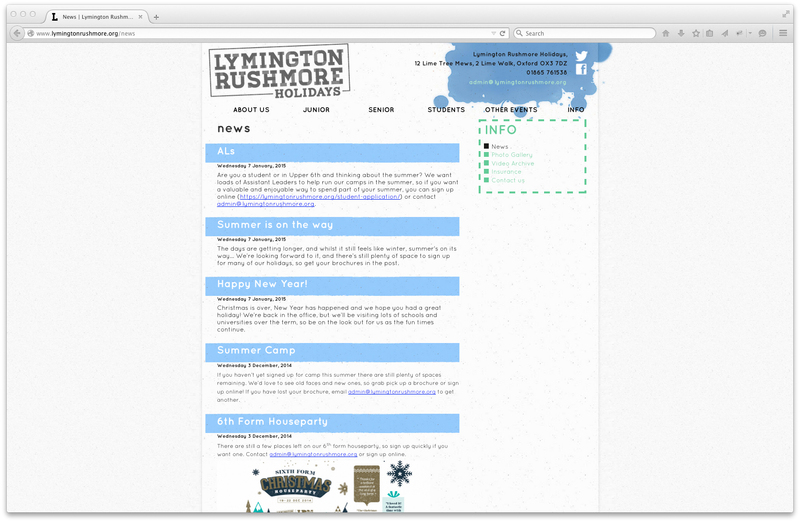 This website uses the same structure and functions as the Iwerne Holidays website but we designed a new skin for Lymington Rushmore so that their website has a unique identity. 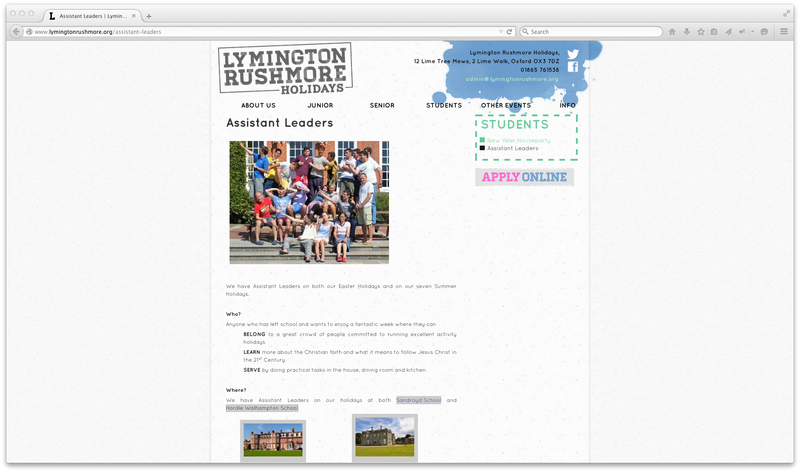 The style and colours complement their print materials. 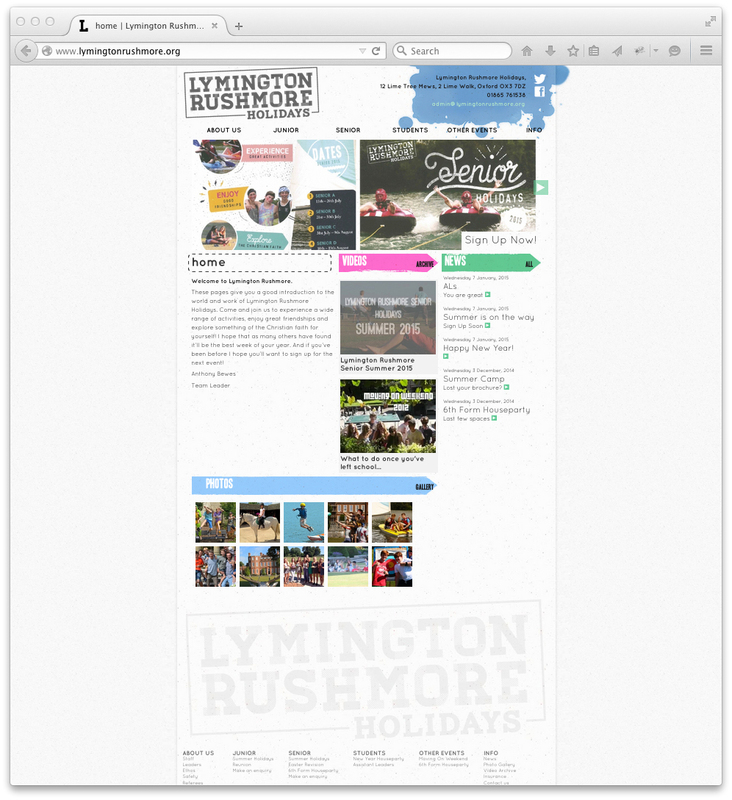 Specific details such as the menu buttons and designation of regions on the home page, plus the background texture and masthead layout allow the site to be distinct from other partner organisations yet clearly part of the same family.